Every now and then, things happen in Windows-world that defy common sense, not to mention best practices. I’ve become a somewhat obsessive user of the system file checker (SFC) and the deployment image servicing and management (DISM) commands lately checking on the health and well-being of my system files (SFC) and image/component store (DISM). 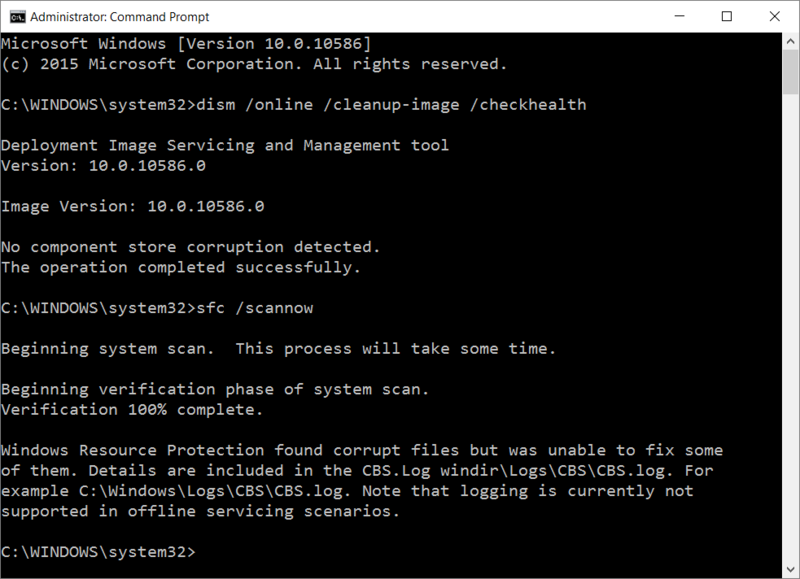 DISM works as sort of a backstop for SFC, so that when you can’t manually repair corruption or issues that the file checker detects, you can use the /restorehealth option in DISM to repair those files programmatically — at least, most of the time. Ordinarily, if one finds problems, so does the other; not this time! In reading up on this issue (links to two good discussions, one at TenForums.com, the other at the Nvidia forums are also worth following) I learned that there’s a difference between the vendor version of opencl.dll that Nvidia wants to use (which ranges between 110 and 120KB in size, depending on recent driver versions) and the generic version of the same file that Microsoft provides (about 30K in size, which MS seems to insist on finding at the moment, even though best practice is to defer to manufacturer driver versions for that maker’s own hardware). If you look at the CBS log file that SFC produces, you’ll quickly see that all of its “corruption” complaints come from that single file in multiple locations, because it doesn’t match what MS expects to find. Yet DISM reports the component store is OK, as the screencap shows. I’m not sure exactly what to do next, and have to agree with a recent poster to TenForums that the best strategy is to “…wait for MS to fix their problem.” In other words, “If it ain’t broke, don’t fix it” has to be the watchword here!